The year is 1986 and BMW has just changed the automotive world to the better by launching the model which started a trend which we at High Velocity have become irrationally fond of. As a result of touring car championships, BMW took an E30 3-series and injected a sizable dose of illegal performance enhancing drugs in order to create a monster which now, according to us at least, has become one of the biggest icons ever: the BMW M3. 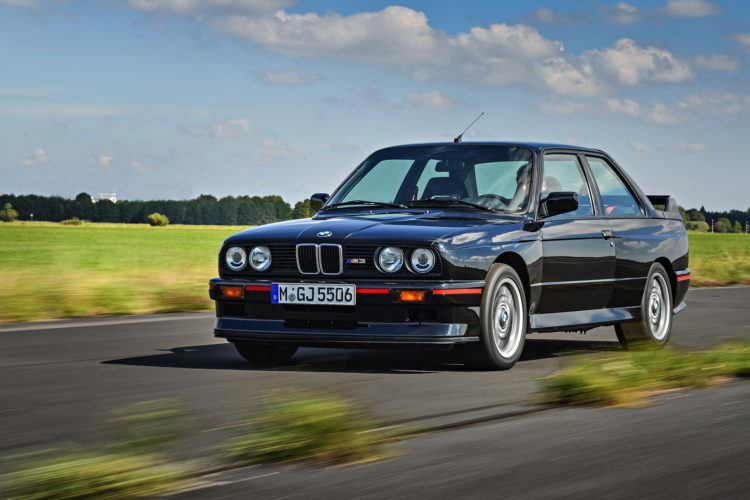 The generations after the E30 M3 were equipped with more beefed up engines while simultaneously increasing in size with the same haste as a toddler. The current M3 may be brilliant but can only be had as a four-door sedan (the coupe being the M4). The fact that the coupe now carries the M4 badge means that BMW has diluted the lineage somewhat, something they are utterly aware of. Therefore, they have now launched an M4 which has shrunk in the wash, something which makes enthusiasts all over the world raise their hands over their heads. 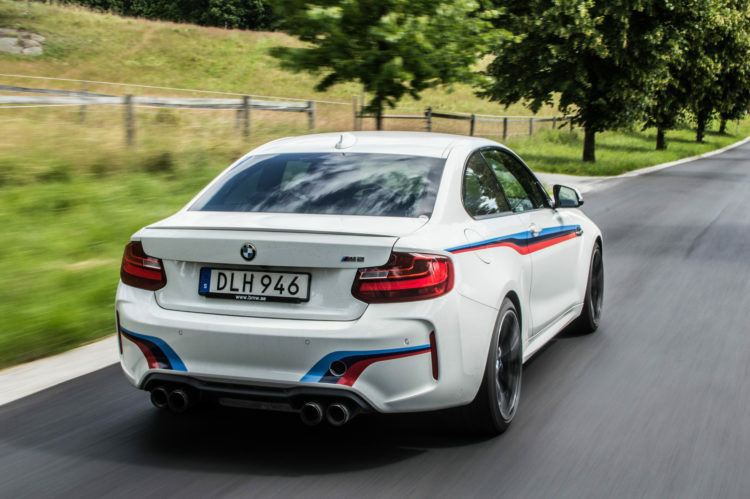 Has BMW started managed to build the true successor to the E30 M3? Let us find out by setting off in High Velocity reviewing the new BMW M2. 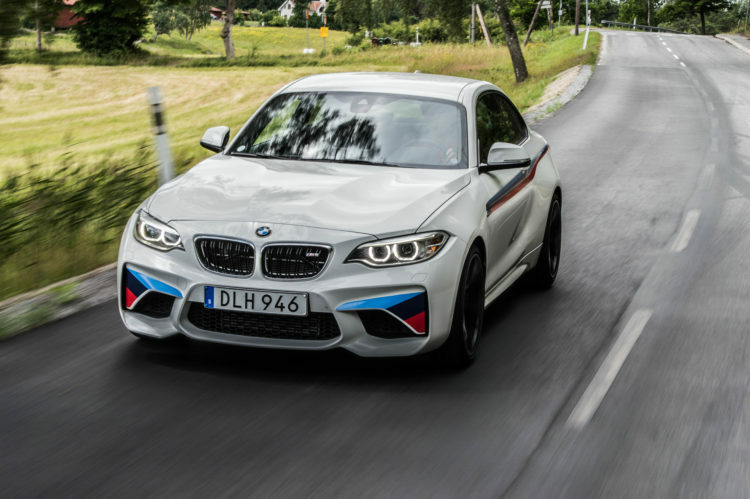 The BMW M2 is, as the name suggest, the smallest M-car available. 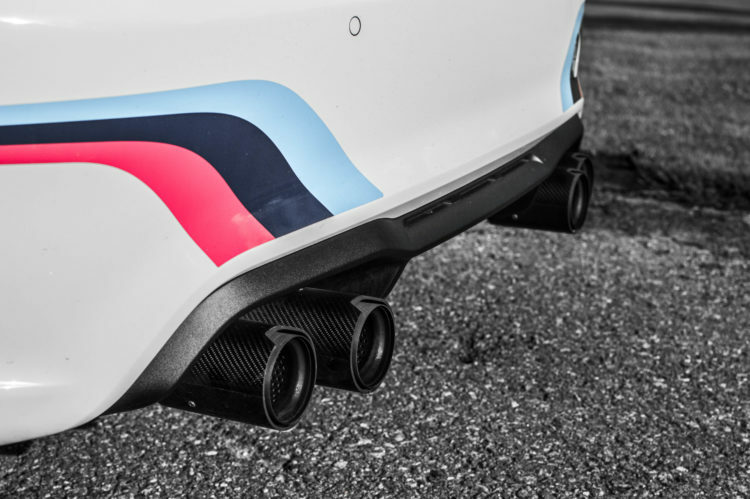 The thought behind it is that it shall act as entry-level car for the M-world, directed at younger buyers. Therefore, it is cheaper compared to its older siblings and misses out on things such as a true M engine and the possibility of personalizing all settings. On top of things the M2 has 370 horsepower compared to the M3’s 431. Although, it is not about being able to scroll through different modes or the amount of horsepower, it is about the car’s dynamics and the feeling the driver gets when sitting behind the wheel. In those aspects the M2 is as unbeatable as the monkeys in the Planet of the Apes. According to me, a real BMW is a sports sedan with a straight six under the hood which drives the back wheels. 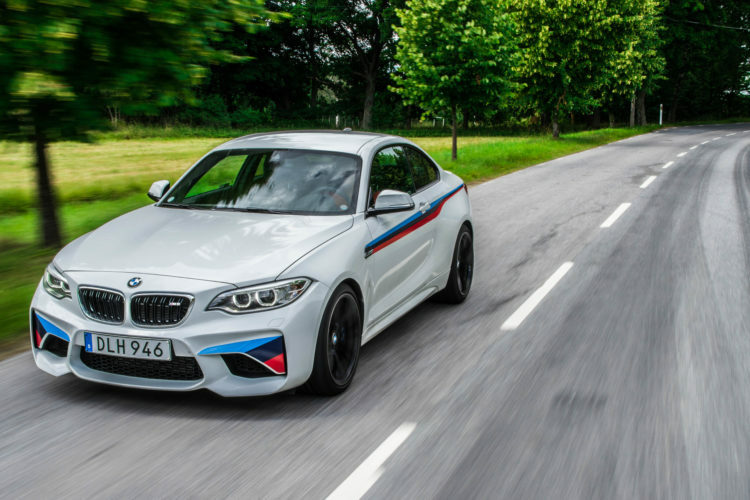 Based on those requirements the M2 is as much of a true BMW as a car possibly can be. BMW’s 3-liter straight six has a tendency of feeling like a catapult which never ceases to launch the driver forward. The acceleration is intoxicating, much thanks to the fact that it feels never-ending. When giving it the full beans one can feel through the whole car that the rear end is as lively as a rattle snake while never feeling out of control. In the corners the M2 dances at my fingertips just like a ballerina and the gas pedal can be used to steer the car as much as the steering wheel. The BMW M2 weighs half a child less than the M4 so calling it a light car is like calling the Ford F150 rare. What makes the M2 really special is the fact that it is about the same size as a stapler. 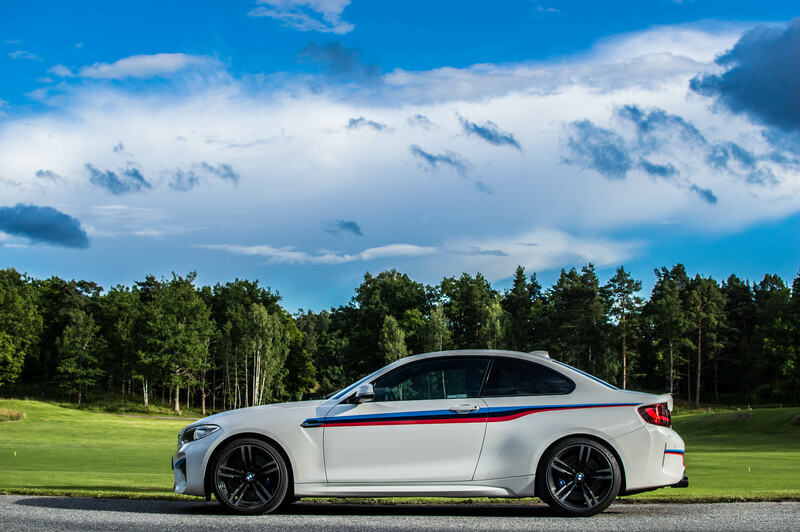 For that reason the M2 always feels agile and approachable. Combined with the wonderful engine note, you have the recipe for pure happiness which cannot be surpassed by neither a lottery win nor heroin. In regards to the exterior of the M2, it can be said that it is an insanely attractive car. The cars silhouette is brilliantly proportioned and all the M-details makes it look as muscular and potent as a bodybuilder who has injected steroid and testosterone de last few years. It is physically impossible to mistake an M2 for a regular 2-series, exactly as one it should be with a car such as this. 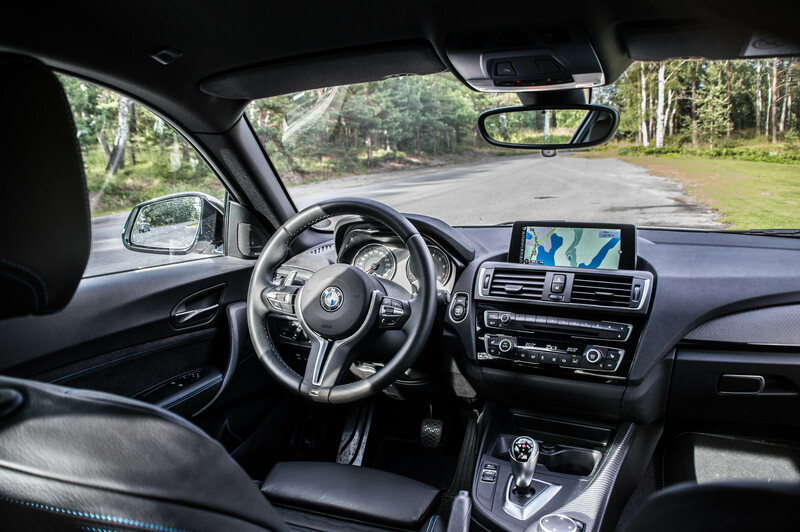 Unfortunately there are not many interior details which expose the fact that you are sitting in something more special than a 218d. This is a recurring theme among “regular” cars which have been equipped with performance number at home in a 15 year old Ferrari. The BMW M2 is the best BMW I have ever driven. The philosophy which permeates the car is a clear focus on the essence of driving rather than a 0 to 62 time of half a second and one million horsepower under the hood. This, in combination with the cars practical aspects and brilliant design, makes the M2 the car I would most want in my own garage. Out of all cars, ever made. BMW has created a true masterpiece, a prima ballerina. Previous post Can We Please Get a New F 800 GT?